Preparation Time: 10 min. Cooking Time: 5 min. Drizzle 2 teaspoons oil in sauté pan. Add onion, season and with salt. Cook until lightly browned and translucent; set aside. Spread avocado on one slice of bread. 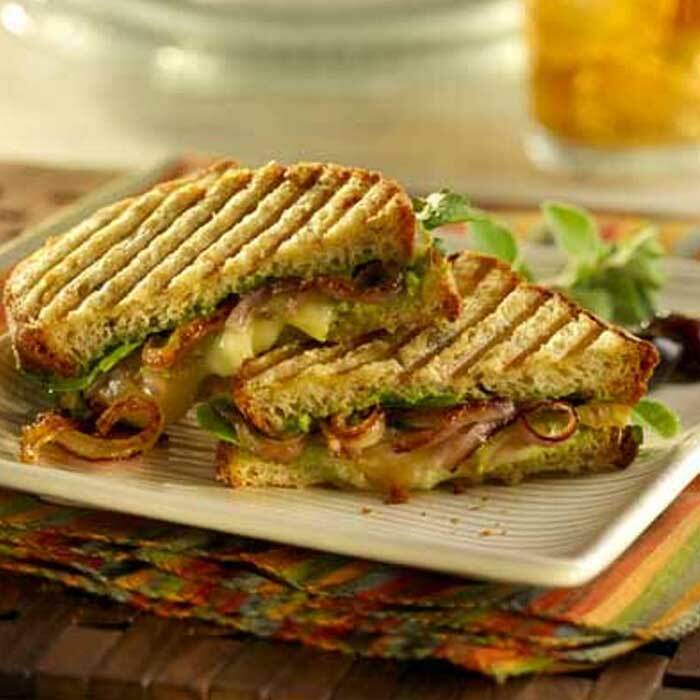 Top with arugula, cheese, and grilled onions. Spread pesto on remaining slice of bread and top sandwich. Brush top side of sandwich with olive oil.